St. Stephens is part of the Episcopal Church, also called by its full name, the Protestant Episcopal Church in the United States of America. We are followers of Jesus Christ, our Lord, and we believe in the Father, Son, and Holy Spirit. 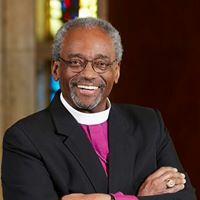 The Episcopal Church is part of the worldwide Anglican Communion, which traces its beginnings to the Protestant Reformation in England in the 16th century. Although the Church of England distinguished itself from the Roman Catholic Church, it also kept many of the traditions of the Roman church, including the recognition that its bishops continued in the line of succession from the bishops of the early church. The Anglican tradition prides itself in being a middle way, a via media, between Protestantism and the Roman Catholic Church. St. Stephens is a congregation of the Episcopal Diocese of Ohio, which was established in 1817 and is comprised of 25,737 members, worshipping in 104 parishes and five affiliated institutions in the northern 48 counties of the State of Ohio. Our Bishop is: The Rt. Rev. Mark Hollingsworth, Jr.
Equipping Bellwether FarmBellwether Farm, the new camp, retreat, and education center of the Episcopal Diocese of Ohio, will provide a place for discovery, leadership development, and experiential learning through sustainable farming, food production, and care of the environment. The goal of Bellwether Farm is to equip children and adults to be informed, inspired, and empowered leaders for a sustainable future. This new center, situated on a 137-acre campus in Wakeman Ohio, is a model of green technology featuring passive buildings, renewable energy, and water reclamation systems. It will be a vehicle through which we can teach the wider community about fidelity to the environment, nutrition, physical and spiritual wellness, local food sourcing, food justice, and sustainable living. As we move into the construction phase and begin to see our vision become a reality, we continue to raise funds for capital and programming needs. A catalog of giving opportunities has been created to enable donors to help fulfill capital needs and to assist with the purchasing of items for the farm and camp. For more information regarding giving to support Bellwether Farm, please contact Laura Hnat, Chief Development Officer at 216-774-0463 or Lhnat@dohio.org.